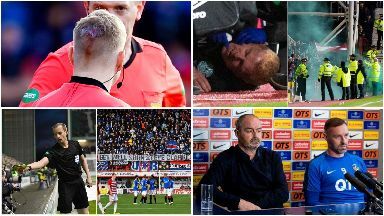 A move is being made to impose strict liability on Scottish football clubs, STV News can reveal. Backbench legislation forcing football clubs to act on fan behaviour is set to go to public consultation after Easter. Under the plans, clubs would be licensed to "make sure the fans behave themselves in an appropriate way". Sanctions would begin with warnings or fines and could escalate to ground closures if trouble persists. It comes after a catalogue of dangerous behaviour by supporters this season. Scottish football has been littered with coin and bottle throwing, seats being ripped up and a fan confronting a player. 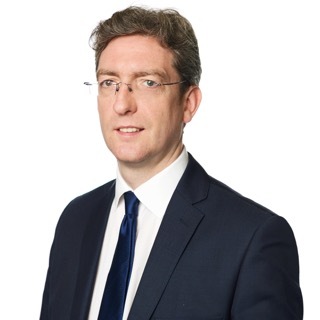 The Scottish Government has warned that it's time for football clubs and administrators to act. SNP MSP James Dornan now wants to impose strict liability on clubs - holding them responsible for the behaviour of fans in and around grounds. He hopes to put his Bill out to public consultation this month and in front of parliament before the summer. Dornan said: "Clubs would have to have a licence and they would have to make sure they abide by the rules of that licence. "Part of the rules would be to make sure the fans behave themselves in an appropriate way. 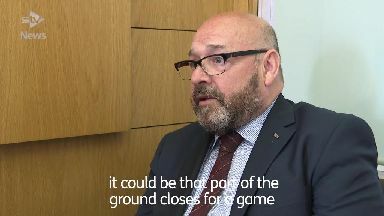 "I would say it would be a sort of step ladder of sanctions, beginning with a warning, then a fine and if the behaviour continues or gets worse, then it could be that part of the ground closes for a game or even that the ground itself is closed for a while. "The fans have to realise the impact of their behaviour, that it's not just an action that they can go away and forget about as there is going to be repercussions for their club."